Which images are straight, which are manipulated? Which are fact, which are myth? Dragonfly attacking tomato cage in our garden . 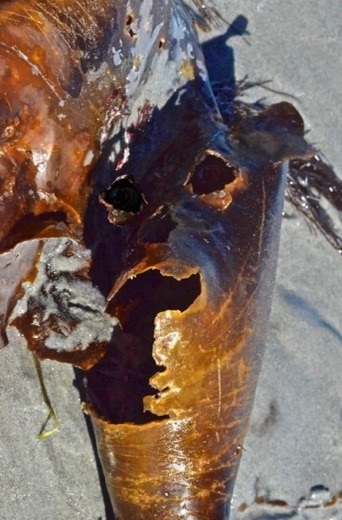 Photograph taken 10/8/14 at Long Sands Beach in York Maine. "Arriving straight from the briny depths – without warning – I was confronted by a giant kelp with faded eyes who spoke strong words to me..."
Photograph taken 9/1/14 near what used to be Sewells Fall Dam. 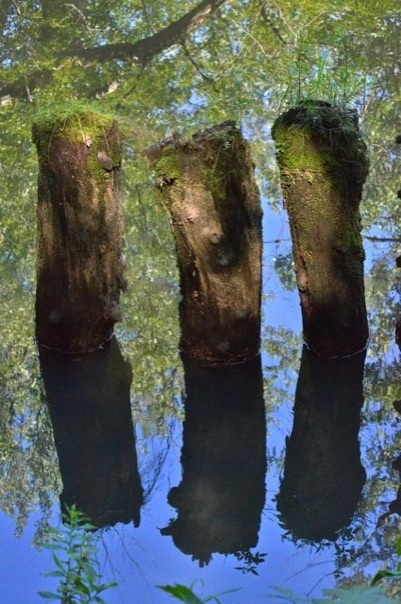 I was struck by this image: three ancient pilings outlasting the conceits of men, now long gone, who sunk them in the mud: Yes, my three amigos are still here, aging well and not giving a dam, no longer caring which end is up. This photograph was taken 12/5/12. 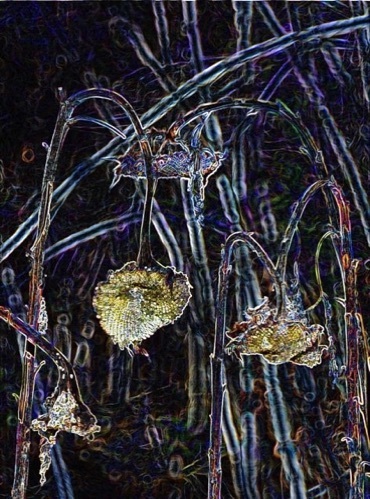 Just as old man winter was symplifying the landscape, I simplified my image, reducing it in Photoshop to a minimalist symphony of bare, bowing sunflower stalks harmonizing with the swaying white birches in the background. 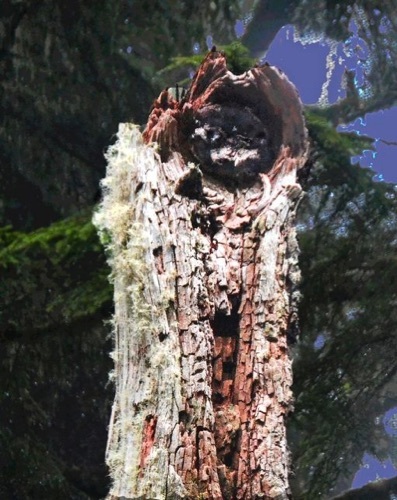 This photograph was taken on September 11, 2013 in a rainforest along the Pacific ocean, just north of Cannon Beach, in Oregon. 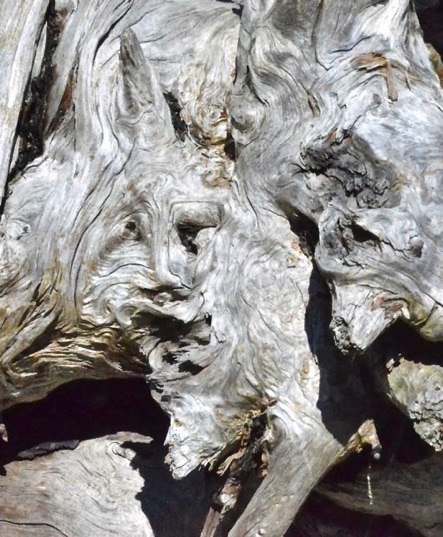 The Shaman spoke to me out of this magnificient tree stump, stopping me dead in my tracks. I faithfully recorded what I saw. 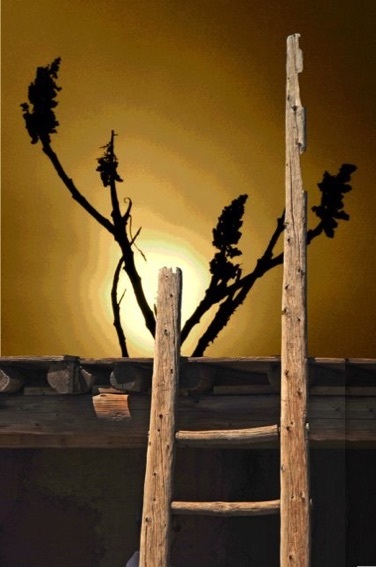 First photo taken 4/24/12 at Taos Pueblo, NM, the oldest continously inhabited indigenous community in the U.S.
Second photo taken of a sumac highlighted against the rising sun at Seapoint Beach in Kittery, ME. 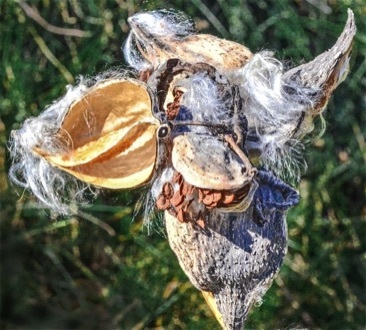 Some Native American cultures made protective totems by weaving a web onto a willow hoop and decorating it with sacred objects such as feathers. The resulting “dreamcatcher” was used as a charm to protect sleeping people, usually children, from nightmares. • a friendly grandmother raven taken 9/4/10 at Point Reyes National Seashore in CA. 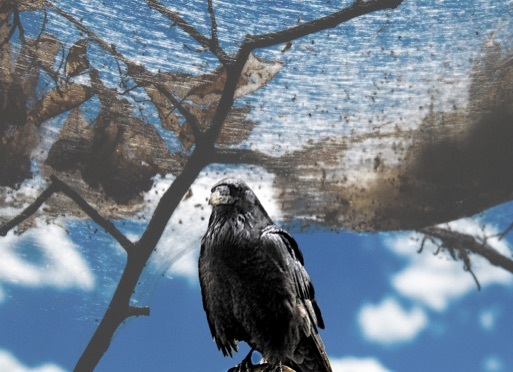 • a tent caterpillar nest silhouetted against the sky along the Merrimack River in Concord, While tent caterpillars are considered to be pests by us humans because their habit of defoliating trees, they are the most social of all caterpillars and exhibit many noteworthy behaviors. 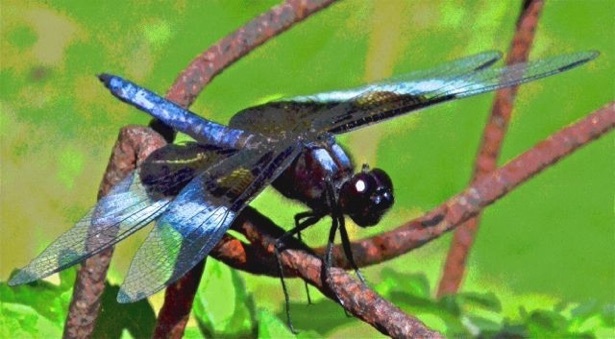 Dragonfly, goddess of change, has come to free us from modernity's steel cage – and reconnect us to our bodies, our dreams, mother nature, and the place art comes from.